The 136th Psalm provides an excellent pattern for developing your personal praise journal. Read the Psalm, purchase a blank journal or notepad and get started. Step 1: Start with the God’s attributes. Psalm 136:1 declares “Give thanks to the Lord, for he is good.” Even if you believe your Thanksgiving list might be short, you can begin a praise journal by listing the attributes of God. Develop your own definitions of these attributes from the Scriptures. Step 2: List God’s creative works. The Psalmist focuses on the creative work of God for six verses. The Bible says, “the heavens declare the glory of God.” Giving God thanks for his creative work can prime the pump for more praise. Step 3: Reflect upon God’s protection and provision. The Psalmist remembers how God protected and provided for the Israelites. Make two columns. Title one God’s protection and the other God’s provision. List the ways that God has worked in your past. Be specific. The events listed in Psalm 136 actually happened at a time in history so include the dates if you remember them. Step 4: Tie it all to God’s mercy. The phrase “his mercy endures forever” is repeated 25 times in this Psalm. Tie your blessings and difficulties to God’s gracious hand. See Paul’s example in 2 Corinthians 12:9-10. Step 5: Review the goodness of God. The Psalms served as the ancient Hebrew’s songbook. The words would gain familiarity as the Israelites sang them in worship. 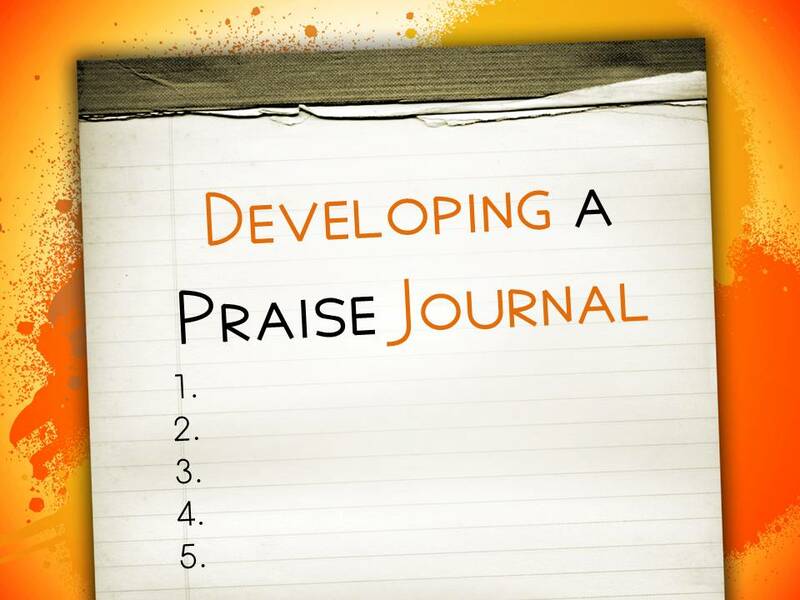 Return to your praise journal regularly; not just to add to it, but to review, in order that you too can remember. This entry was posted in Biblical Strategies, Prayer and tagged God is good, praise, praise journal, thankfulness, thanksgiiving list.